Our Edge In Today’s Market? Orbitz Elevators are dedicated professionals. Our wide variety of Elevators are rigorously tested for safety, comfort, reliability and efficiency – an integration which guarantees a perfect fit and superior performance. Put simply, we offer a vast range of unique products, that other companies can’t. 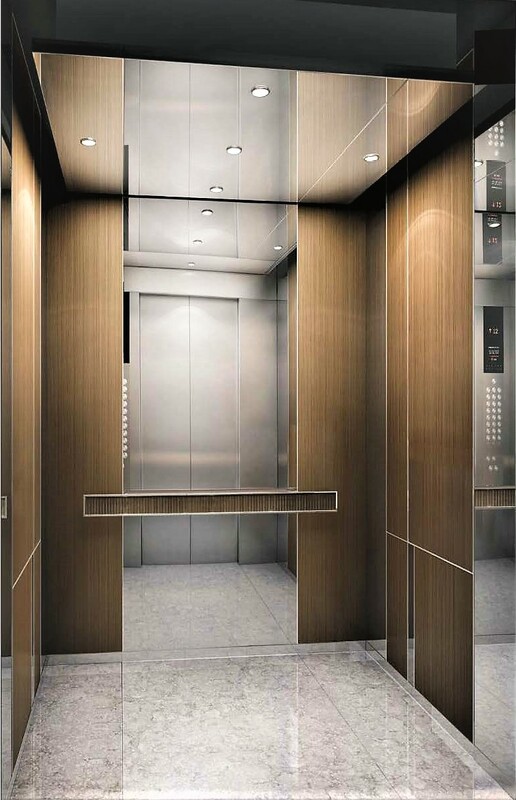 Featuring integrated design and manufacturing process, Orbitz Elevators only works with the latest in technology and engineering innovations. We have extensive experience in specialised elevators, including special transport elevators, high-speed elevators, super-sized elevators, vandal-resistant elevators, corrosion-resistant elevators, inclined elevators and many more. All elevator configurations can be supplied with site specific audio/visual communication and elevator traffic management systems. All our elevators are compliant with current Australian standards and regulations. We are a multi award winning business known for our exceptional customer service, world class project management and state of the art Hitachi products. Our industry leading solutions from advisory support to handover of the project are delivered seamlessly and professionally. We help our customers to accurately define the particular elevator system which they require and ensure their choice meets their exact specifications. Orbitz Elevators provide vertical transportation solutions for high rise commercial and residential, low rise commercial and residential, shopping centres, airports, hospitals, universities industrial plants and more. We are an Authorised Distributor of Hitachi Elevators within Australia. Hitachi offer global leading innovation, design and technology. They are one of the largest elevator distributors in the world and amongst the big 4 Japanese lift companies that dominate the manufacturing market. They are responsible for engineering and manufacturing the current word’s fastest elevator which travel at 21 meters per second, this gives you an idea of the level of technology and innovation we have to offer for our clients. With over 700 years’ of collective industry experience, coupled with our commitment to customer satisfaction, ensures that your project will be completed flawlessly with a world class Japanese product. We help our customers to accurately define the particular lift system which they require and then manufacture it to their exact specifications in partnership with Hitachi. Thorough project analysis is completed prior to the start of construction. We will work closely with you to determine your equipment requirements, scope of work to be performed, a completion time-line, and cost analysis. A complete review will be conducted to ensure that your project meets the required elevator codes where required. Prior to starting construction our full Health and Safety Plan is adhered to and signed off accordingly. We closely monitor the progress of the project and fully inspect all work carried out by our employees, including auditing and implementing our quality control process. Regular safety audits will take place throughout the project along with regular toolbox talks. Communication is key to Orbitz Elevator success. You will be provided with continuous progress reports to keep you informed with the original schedule project plan during the new elevator installation phase, and we will be available to answer any questions that may arise and any matters that may occur. Our construction team receives continual ongoing training to master new technologies. Upon project completion, our clients receive training on their elevators operation and an Orbitz Elevator handover package. To guarantee optimal performance of your equipment, we will provide a 12-month warranty period on our products and service, to follow this we offer a variety of maintenance programs to care for and ensure the longevity of your elevators. Orbitz Elevators is experienced in all phases of new construction. We are confident that you will be completely satisfied with the installation and operation of your new elevators. Contact us for guidance from one of our experienced consultants, who can guide you through our extensive product range and determine the best solution to suit your exact requirements.